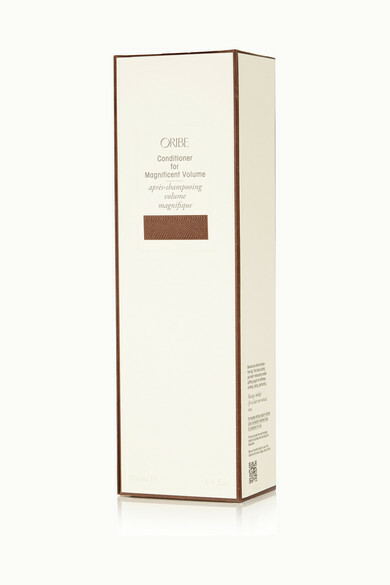 Oribe's silky conditioner contains naturally derived Polymers to plump the hair shaft. This delightfully scented formula is infused with antioxidant Amber, nourishing Cyperus Esculentus Oil for shine, and Edelweiss and Watermelon to defend against styling damage. Made in the USA, it has a featherlight gel-cream textured that won't weigh your tresses down.